In The Legend of Ranger, Alan Salisbury’s words and Roberta Baird’s whimsical artwork create the magic of the Christmas season with the tale of a young reindeer named Ranger who has a big dream–to be part of the reindeer team that pulls Santa’s big sleigh. 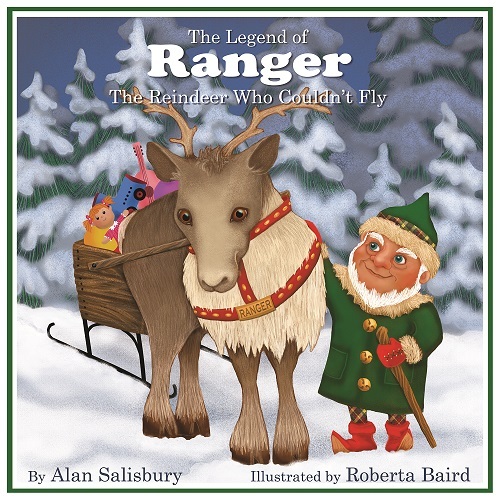 Ranger searches all over Santaland for someone who can teach him the secret of flying, but everyone he asks, including the oldest and wisest elves, Mrs. Claus, and even his brother Rudolph, gives him the same advice: ”The secret lies within.” Determined to fulfill his dream, Ranger must figure out the secret for himself. 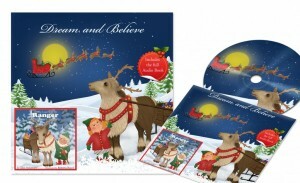 An emergency trip to Krystalwite to help the sick reindeer at the North Pole offers Ranger the opportunity to play a part in saving Christmas and, along the way, learn what it is that lies within. The Legend of Ranger contains a heartening and inspirational message about the power of believing in yourself no matter what challenges lie ahead.